A very important plant family in Australia is the Proteaceae family. It already existed at the time when, 135 million years ago, the continents drifted apart and only occurs in the Southern Hemisphere. The largest number of genera occur in Australia like Banksia, Grevillea, Hakea, Telopea, Adenanthos etc. 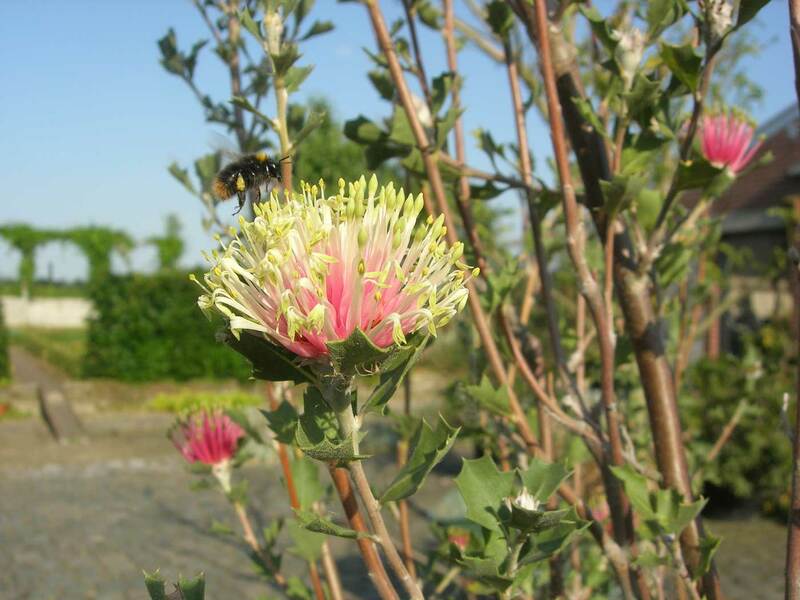 In South Africa Protea and Leucospermum are well known representatives of this family and so is Embothrium in South America. Enormous variability exists within the family and that’s why Linnaeus named the family after the sea god Proteus who could change at will into many different shapes. The style of the flowers in this family stand out in general, the floral leaves are not very obvious. The flowers may be single in leaf axils (some grevilleas) or make up an inflorescence with hundreds or thousands of individual flowers grouped together (Banksia). This inflorescence can be surrounded by colourful bracts that make the flowers even more impressive, like in Telopea. The genera are distinguished from one another by presence of these bracts, shape of the inflorescence and fruits. Fruits are typically firm and woody and in most species the leaves are tough and leathery. All plants retain their leaves throughout the year and develop into low spreading plants to trees up to 20 m.